Planning a Superbowl party this weekend? There is still time to grab things you need. From plates to decor, we have all kinds of Superbowl Party Stock-ups for you. 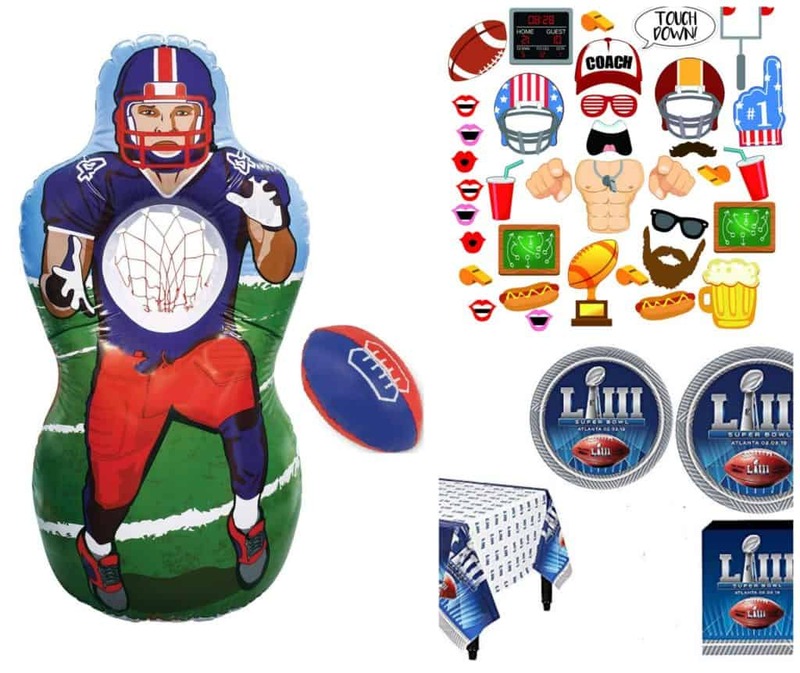 This Super Bowl 53 LIII 2019 NFL Party Supplies Pack has everything you need for up to 16 guests. This pack includes dinner plates, appetizer/dessert plates, napkins and a tablecover. 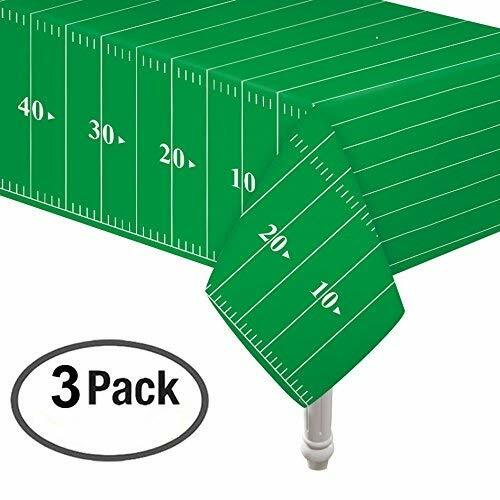 This Football Field Tablecloth is perfect for a football-themed party. 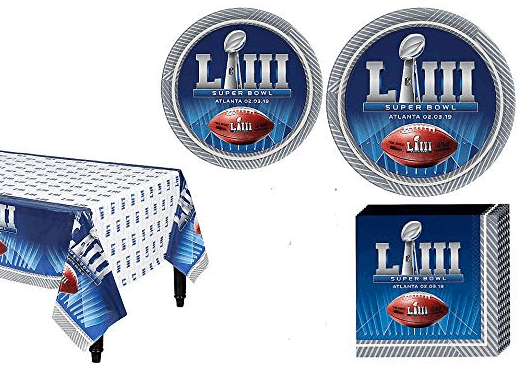 This pack includes 3 tablecloths, so you can use the extras for other football events throughout the year. Looking for party favors or for something fun for the kids? 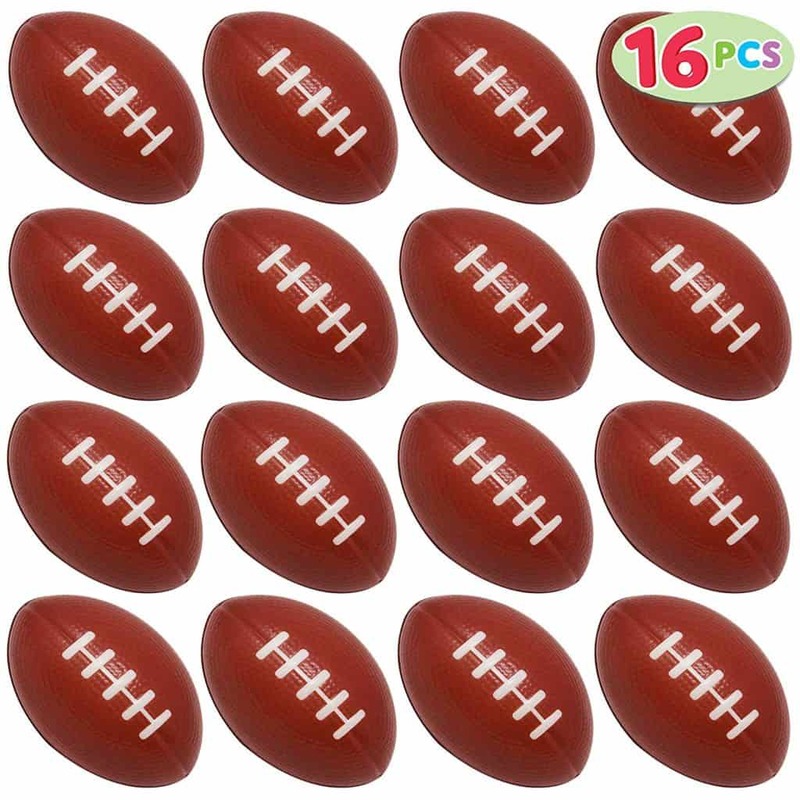 Everyone will love these Mini Football Foam Stress Balls. This pack comes with 16 footballs. 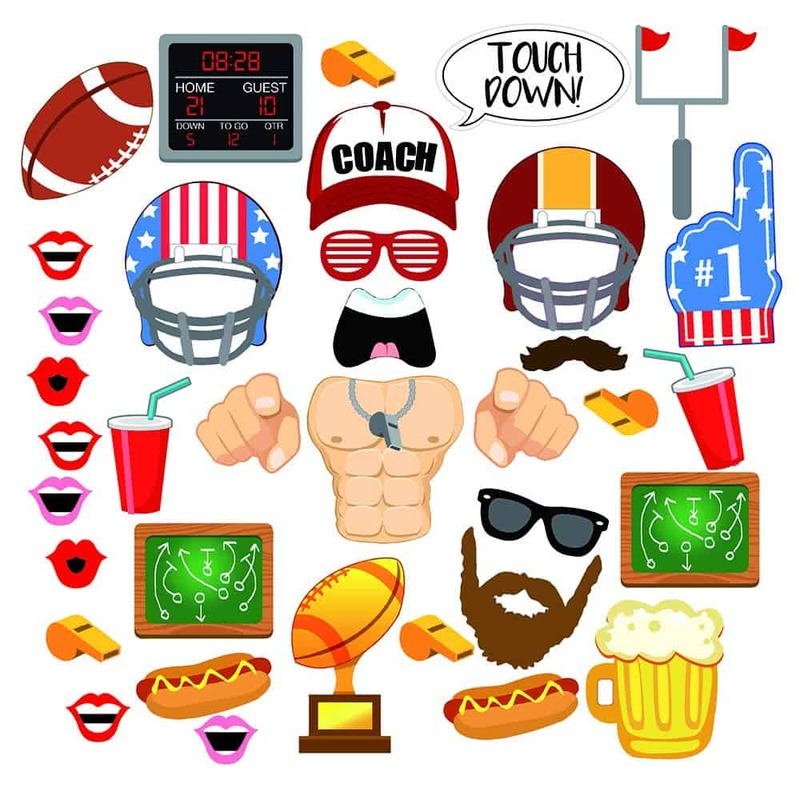 Photo booths really amp up parties, and your family and friends will have a ton of fun posing with these Football Photo Booth Props! 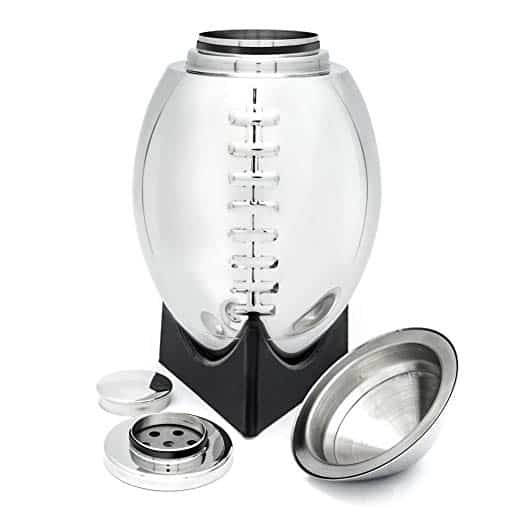 This Football Cocktail Shaker is such a fun and classy way to make drinks for your guests. I love how it totally fits into the football theme rather than just being a plain shaker. 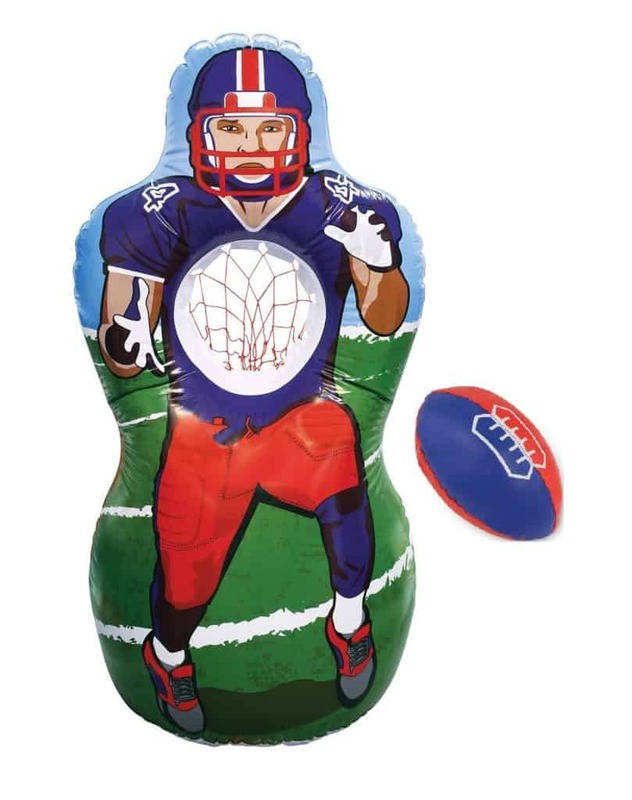 And, this Inflatable Football Target Set looks like SO much fun! Adults and kids alike will have a blast trying to hit the target with the football.